Softcover Trade. 384 pages. SRP: $14.95. Hardcover w/ Dust Jacket. 408 pages. SRP: $21.95. Hardcover w/ Dust Jacket. 484 pages. SRP: $21.95. Hardcover w/ Dust Jacket. 448 pages. Softcover Trade. Illustrated by Berni Wrightson. 128 pages. SRP: $8.95. Softcover. 388 pages. SRP: $14.95. Note: Personally inscribed by author on title page. Hardcover w/ Dust Jacket. 216 pages. SRP: $8.95. Dust Jacket is Very Good Plus. Softcover Trade. 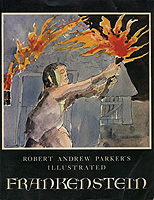 Illustrated by Tom Barling. 96 pages. SRP: $3.95. Softcover Trade. 388 pages. SRP: $11.00. Book is Near Mint save for some small writing on title page. Hardcover w/ Dust Jacket. 340 pages. Hardcover w/ Dust Jacket. 246 pages. Hardcover w/ Dust Jacket. Illustrated. 172 pages. SRP: 12s 6d. Softcover. 248 pages. SRP: $11.95. Hardcover w/ Dust Jacket. 282 pages. SRP: $10.95. German language edition of The Cycle of the Werewolf. Softcover. Illustrated by Berni Wrightson. 192 pages. Inscribed on the title page by the author. Softcover. 142 pages. SRP: $17.95. Softcover. Illustrated by Joe de Vito. 204 pages. SRP: $12.95. Hardcover w/ Dust Jacket. 270 pages. SRP: $14.95. Hardcover w/ Dust jacket. 224 pages. Hardcover w/ Dust Jacket. 286 pages. SRP: $8.95. Dust Jacket is Very Fine Minus. Hardcover w/ Dust Jacket. 272 pages. SRP: £9.95. Dust Jacket is Very Fine Plus. Softcover Trade. 204 pages. SRP: $11.95. Hardcover. Illustrated by Fritz Eichenberg. 562 pages. Hardcover w/ Dust Jacket. 348 pages. SRP: $24.95. Softcover Trade. 1178 pages. SRP: $9.95. Softcover. 184 pages. SRP: $2.50. 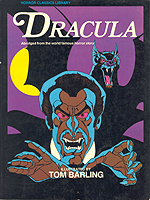 Cover art by Gino d'Achille. Hardcover w/ Dust Jacket. 382 pages. Hardcover w/ Dust Jacket. 396 pages. SRP: $19.95. Hardcover w/ Dust jacket. 544 pages. SRP: $26.95.